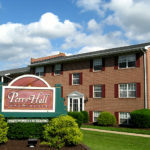 Perry Hall Apartments and Oakleigh Apartments in Perry Hall and Parkville Maryland – Welcome to Perry Hall Apartments and Oakleigh Apartments. Our all brick beautifully landscaped communities offer you superb locations with a perfect blend of amenities. Our all brick beautifully landscaped communities offer you superb locations with a perfect blend of amenities. Located in the heart of Perry Hall Maryland we are only minutes away from the major expressways, abundant shopping and entertainment. We provide a variety of spacious floor plans that meet the demands of today’s busy professionals and families. Quietly nestled away in Parkville Maryland we provide the finest in convenient suburban living. Our generously proportioned apartments are spacious, friendly, efficient and offered in a variety of sizes.